Tomi Perkins teaches Art to all three grade levels. Matt Reininga teaches Project Lead the Way to all three grade levels. Please click here to view a Project Lead the Way Welcome video. 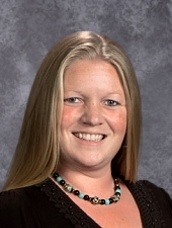 Holly Odynski teaches World Languages to all 7th grade students. Emily Davidson teaches Computers to all three grade levels.